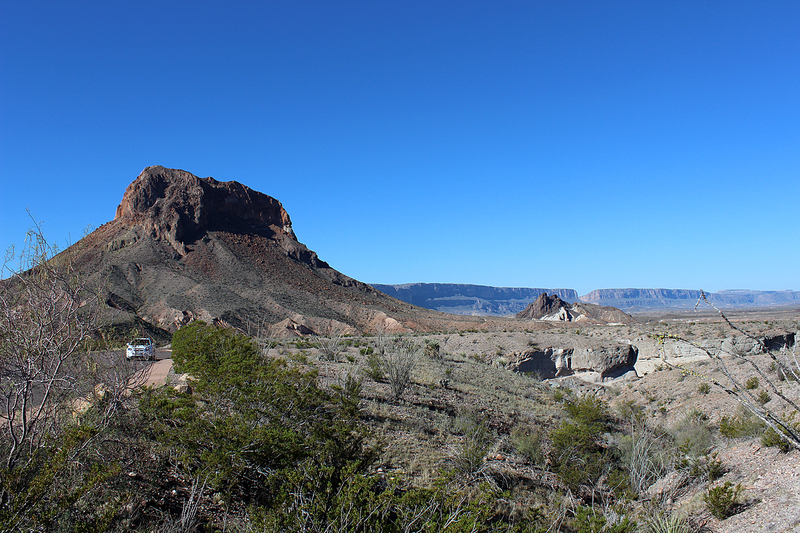 From Santa Elena Canyon, we headed northeast on the Ross Maxwell Scenic Drive past Cottonwood Campground and Castolon to the pull off for Tuff Canyon. 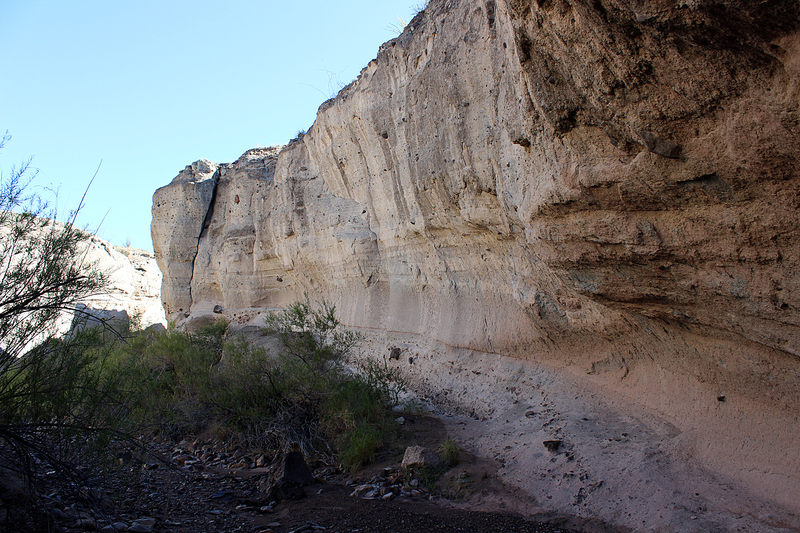 There are many washes in the desert of Big Bend National Park, but perhaps none so dramatic as Tuff Canyon. 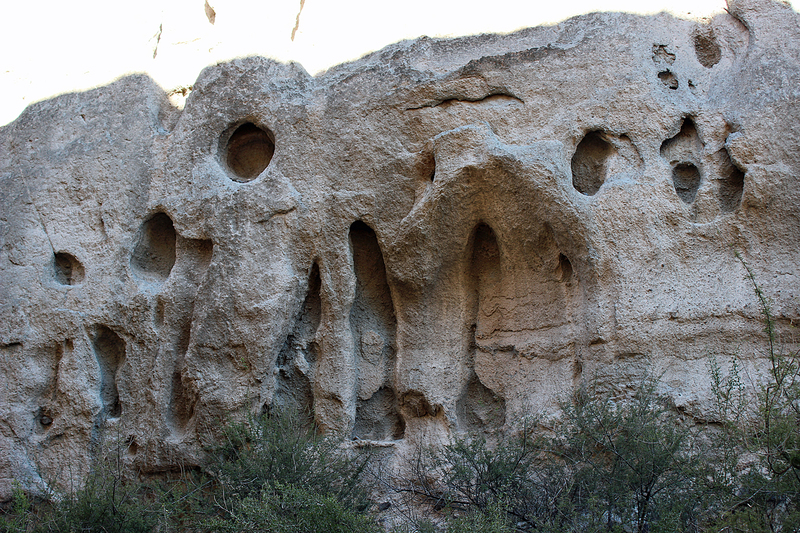 It was carved by Blue Creek, which originates in the Chisos Mountains. 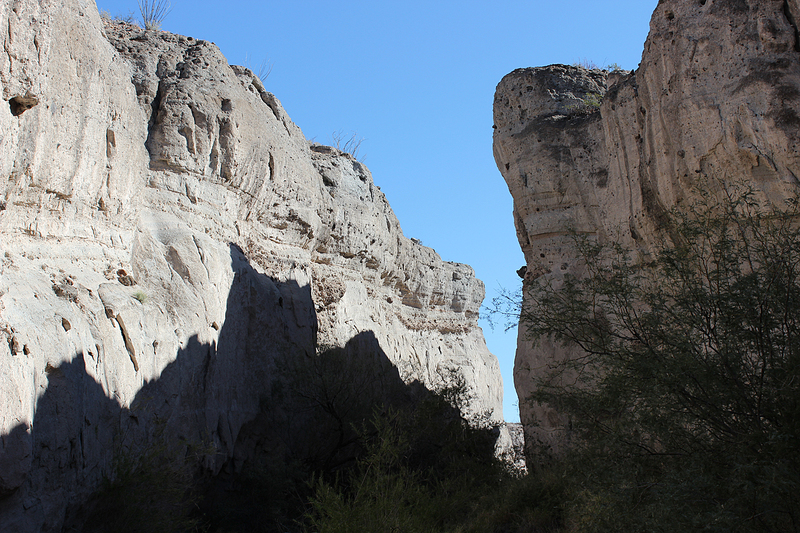 The rock that comprises the canyon is volcanic tuff, formed when a volcanic explosion blew tons of ash into the air, which eventually hardened as it was compressed by overlying layers of rock. 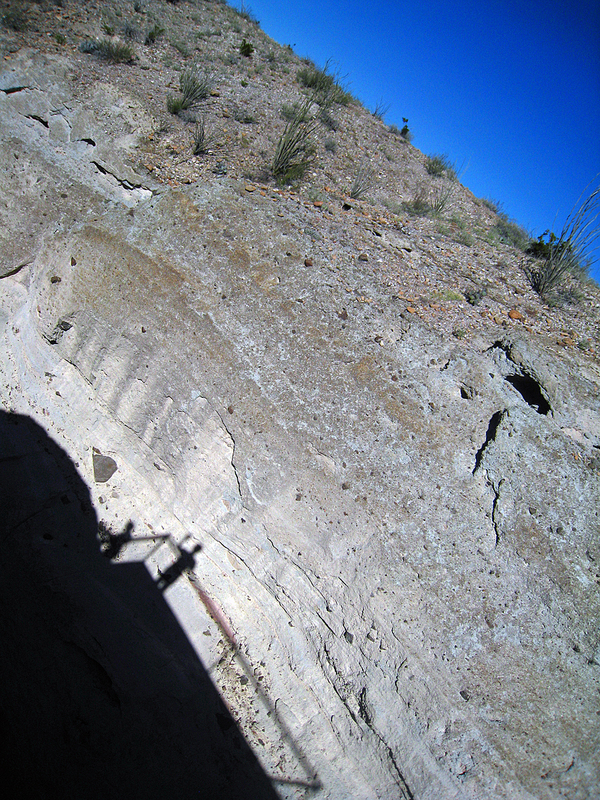 In the photo above, the darker rock on the canyon floor is trachyitic lava, and the light gray rock of the walls, which eroded away much more quickly, is the tuff. 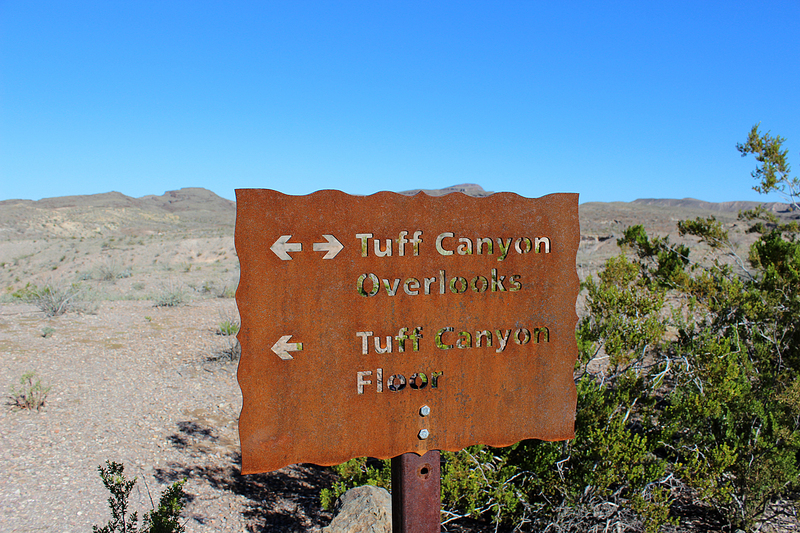 The signage at Big Bend National Park is very impressive, utilitarian for the desert elements, but also created with striking design in mind. Well done, NPS! 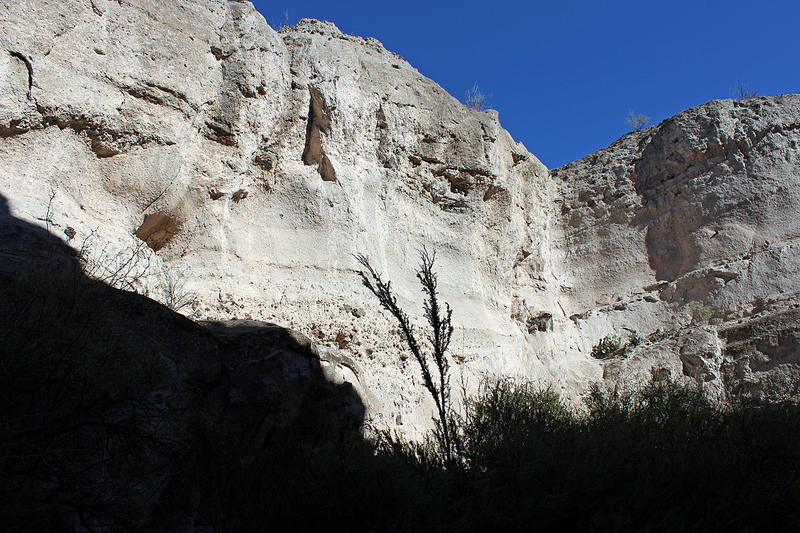 The view southwest from the desert floor above Tuff Canyon. 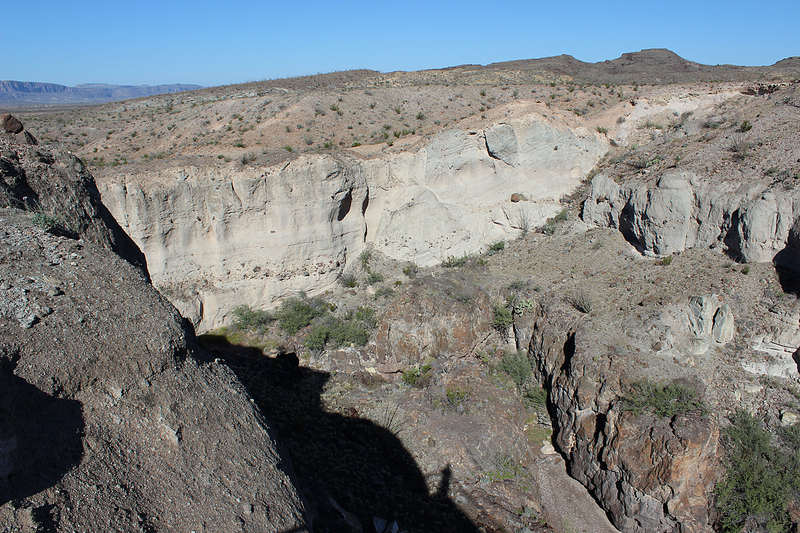 The pullout is in the left foreground with Cerro Castellon looming above it. 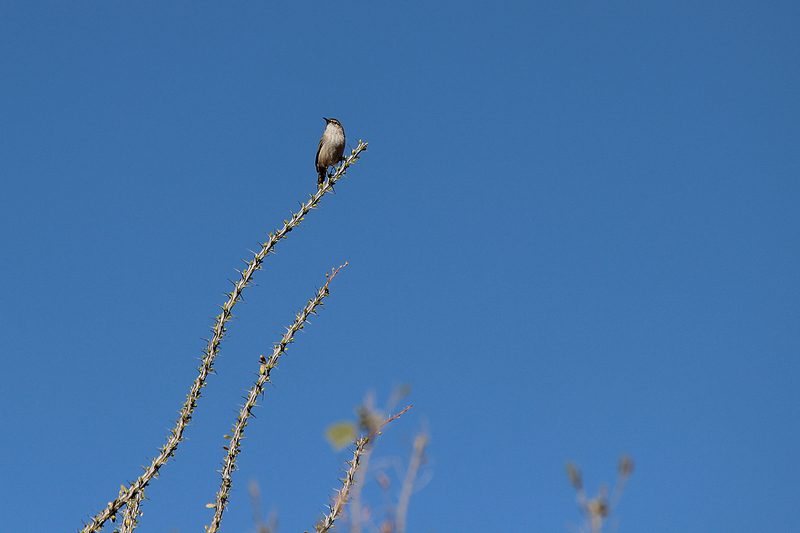 Santa Elena Canyon is visible in the distance. 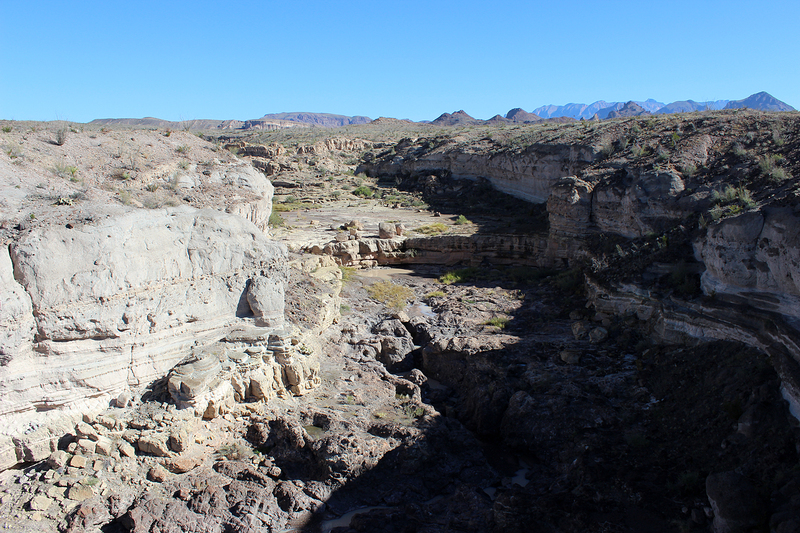 The floor of Tuff Canyon from an overlook. 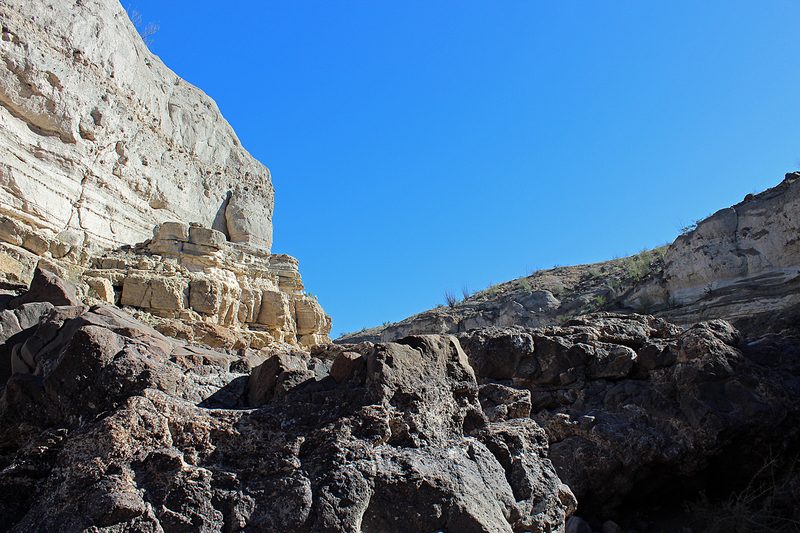 We followed a short trail around and down into the broad wash at the canyon’s mouth. 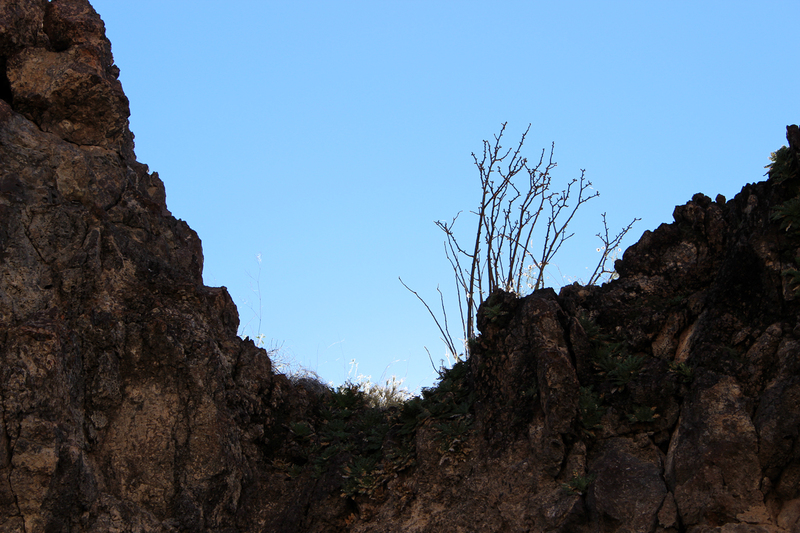 Then we turned and hiked into the canyon proper. 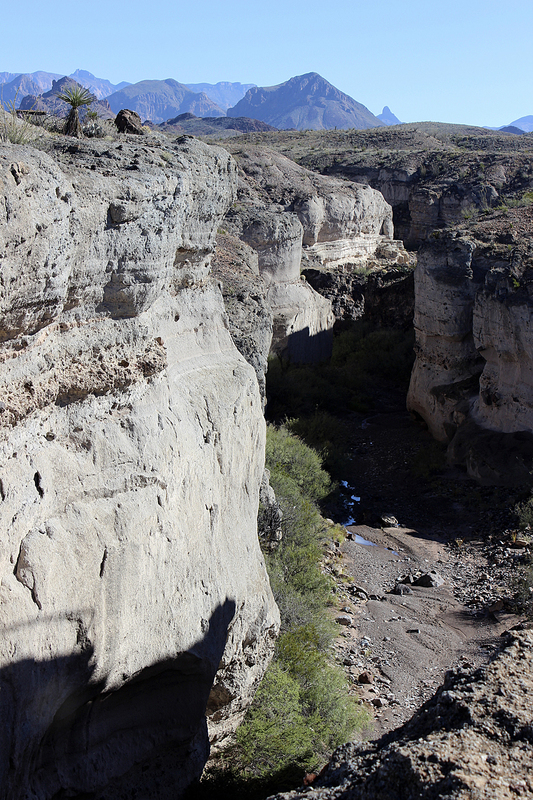 The geology of the canyon’s formation was visible everywhere, from harder, basaltic rock trapped within the ash from the time of the explosion to the steep undercutting from when Blue Creek in flood carves the canyon deeper and wider. 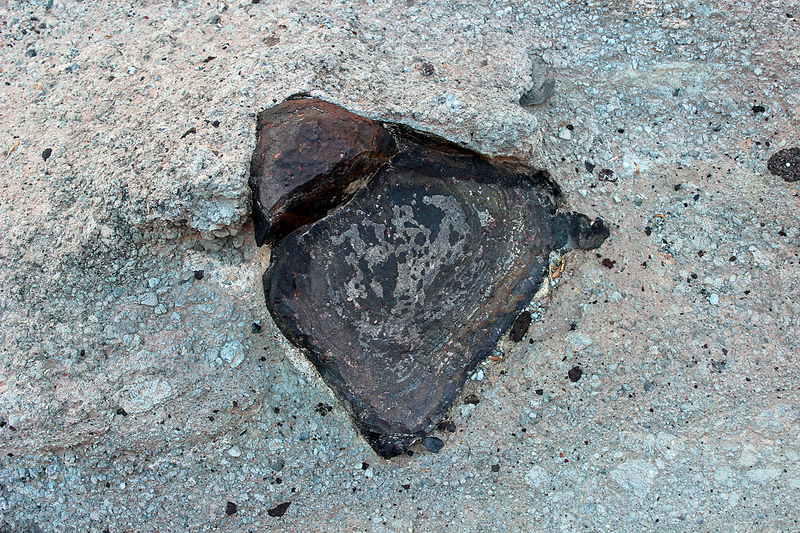 A chunk of basalt embedded in surrounding tuff. 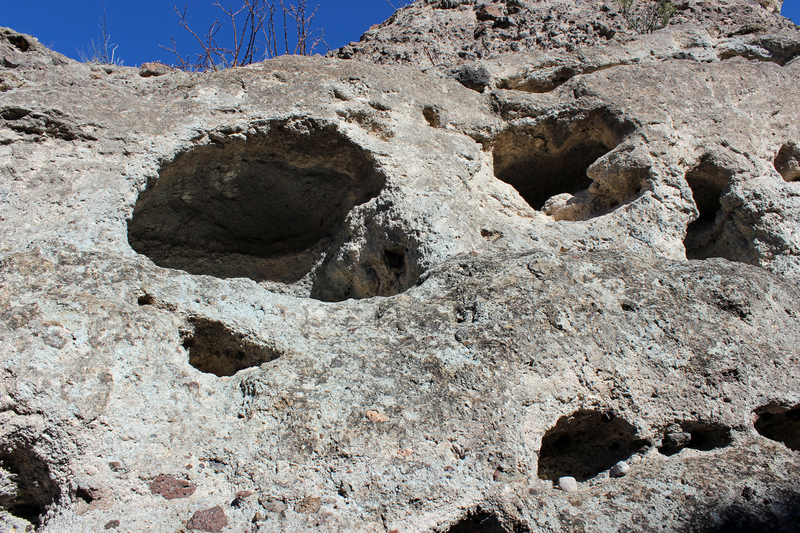 Holes left by harder, denser rocks falling from the tuff walls. 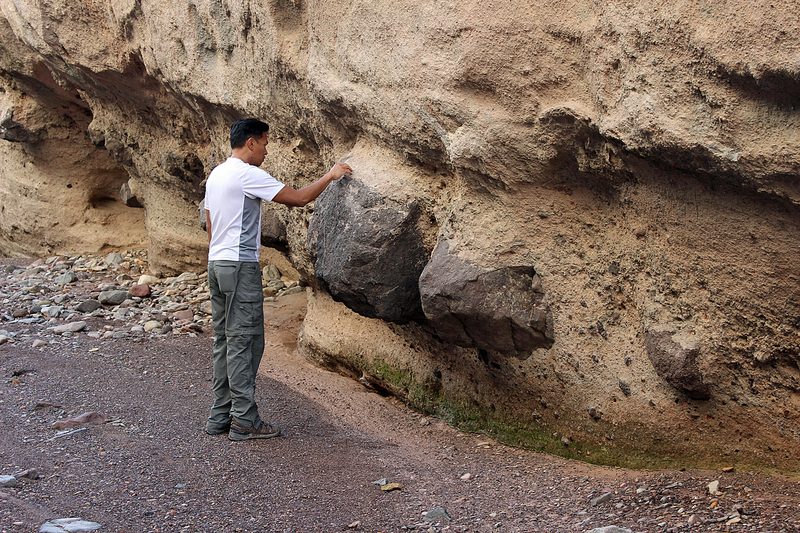 Sean examines the difference in texture between rock formed from magma and rock formed from ash. 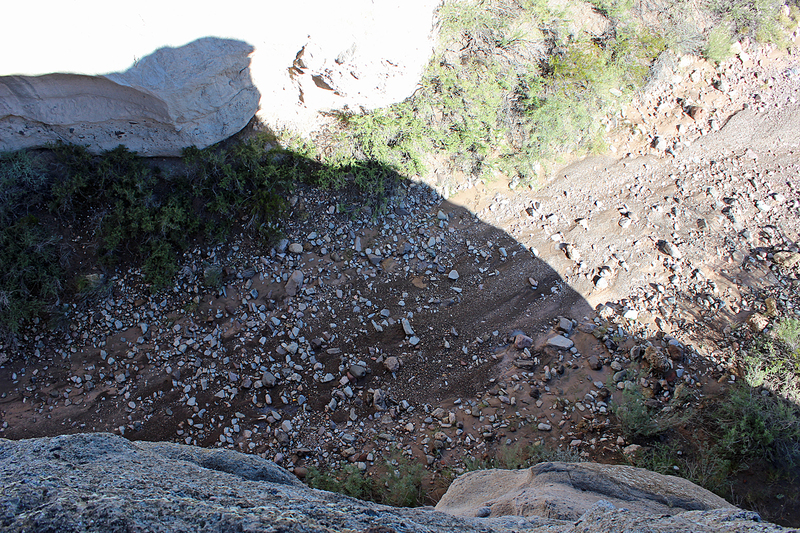 Runoff has begun cutting what may someday, millennia from now, be a separate side canyon. 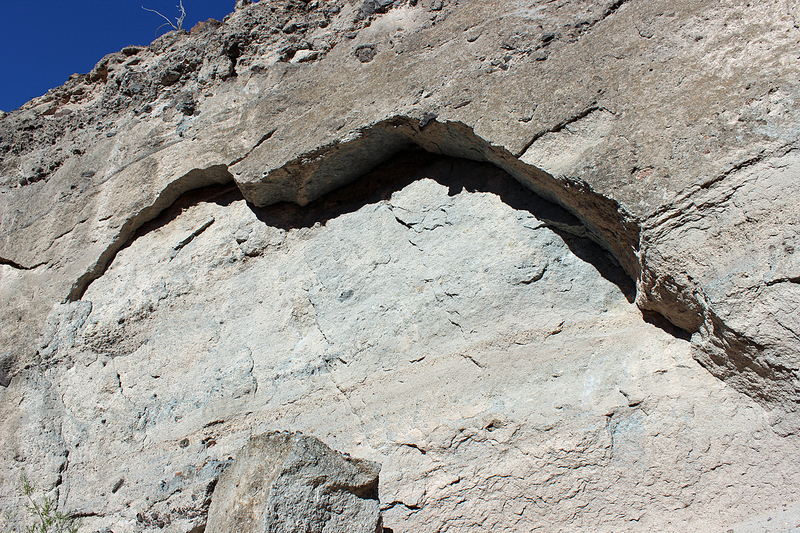 The lower rock is still moist from the recent precipitation. 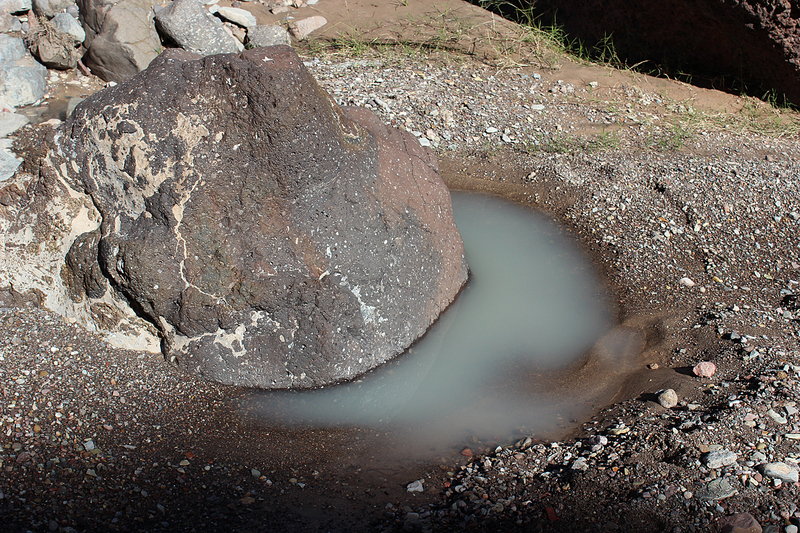 Chalky, sediment-filled pools remain from the rain earlier that week. 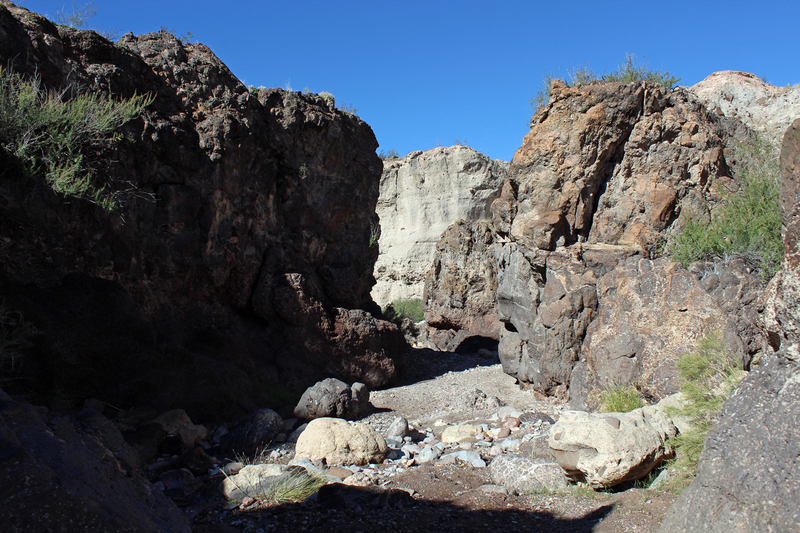 Eventually we came upon a a series of ledges and huge boulders that indicated we’d reached the extent that it is easy to walk up the canyon. So we turned around and returned the way we we’d walked. 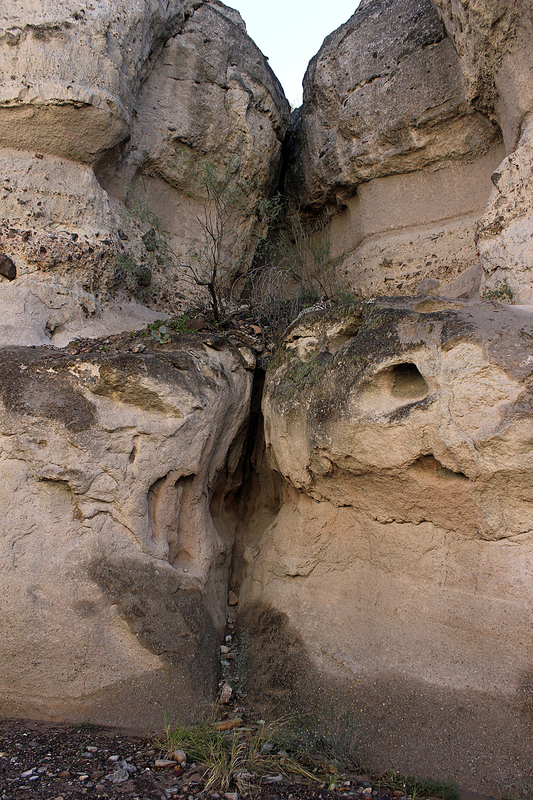 The broad wash at the mouth of Tuff Canyon. 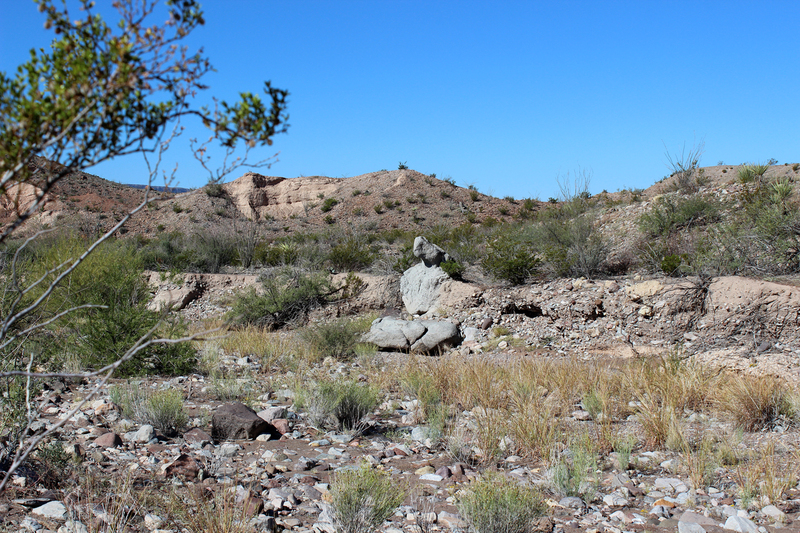 We hiked back up to the car, pulled back out onto Ross Maxwell Scenic Drive, and continued on toward the heart of the park. 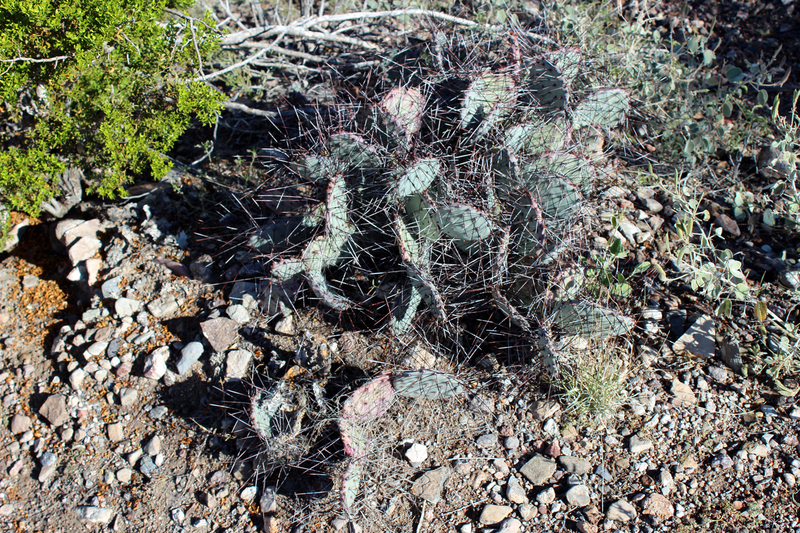 This entry was posted in Journey and tagged Big Bend, Day Hike, Texas on December 7, 2013 by Brandon Hayes.